Welcome to another edition of Mastication Monologues! Today’s post comes on the back of a very long night with some fun company and noraebang (Korean karaoke) action. The night started out at a restaurant serving a type of cuisine from a country that I more associated with being the whipping boy for a much larger nation, a center of spiritual enlightenment, and a paradise for yaks. Give up on the international guessing game? I’m talking about Tibet; the pseudo-nation/kingdom that has been the focus of many international groups who argue that China brutalizes its inhabitants. While China puts forth the stance that they liberated Tibet’s citizens from the backward and despotic rule of the now displaced Dalai Lama. Geopolitical happenings aside, Potala Restaurant in Seoul brings you a small taste of what the mystical kingdom can offer in terms of food. It’s located at 서울시 종로구 관철동 35-2 수표교빌딩 지하1층 (GwanCheol-Dong 35-2 SuPyoKyo Building B1 Jongno-gu, Seoul). Here’s their menu. 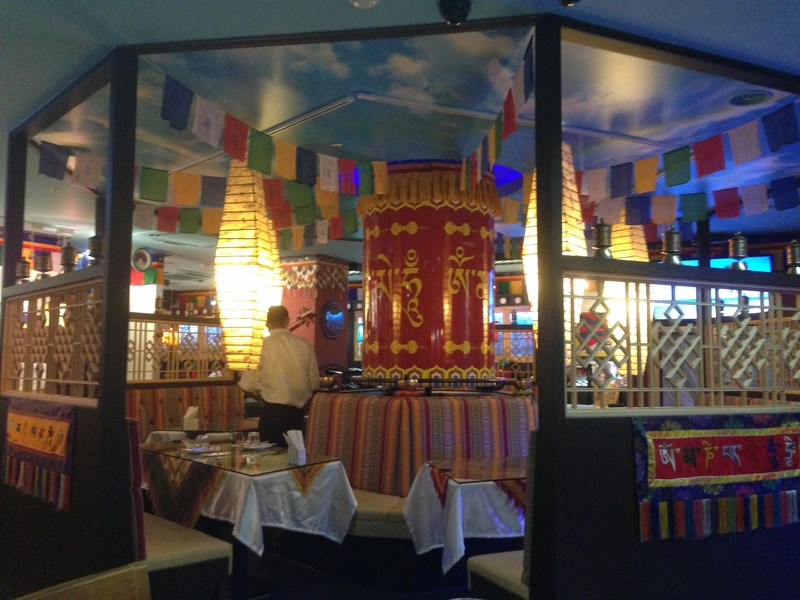 To begin, the decoration inside and outside the restaurant was sumptuous and in good taste while reflecting the richness of Tibetan culture through numerous Buddhist symbols like prayer flags and prayer wheels. One of the highlights of the dining experiences was the giant prayer wheel in the middle of the restaurant which actually spun which the owner showed us how to do it with great gusto. While we were initially taken in by the colorful surroundings, we slowly but surely made up our mind on what we wanted to order. Since we all have been living in Korea, we decided to do like the locals and share all of our food. It was a great decision. 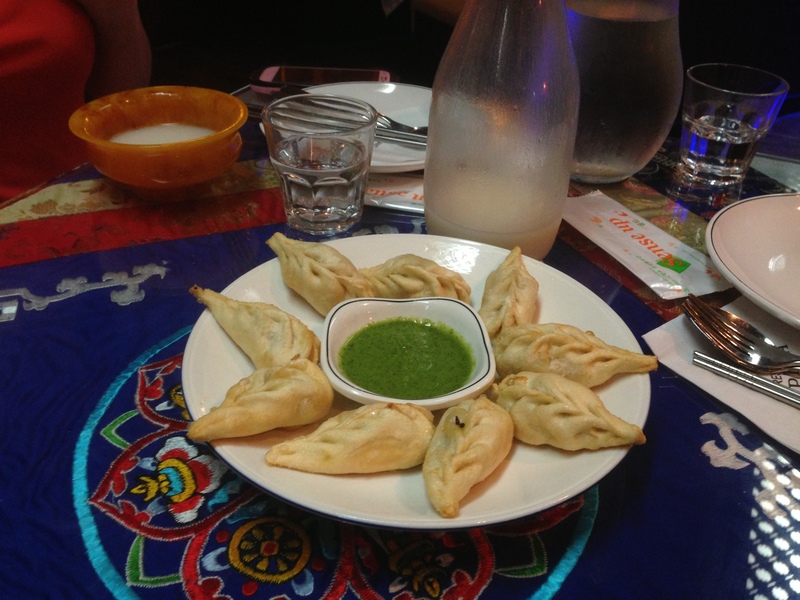 The first thing that came out were the fried momos or Tibetan dumplings (8,000 W). They looked like your classic Chinese dim sum dumplings but deep fried to a light yellow hue. They were also served with a chutney that seemed unnaturally green. However, my fears were soon allayed once I bit into one of these small cocoons of deliciousness (side note: they took a long time to cool off, so wait a bit before taking a big chomp). The fried dough was slightly flaky and crunchy while the interior was filled with potatoes, peas, and curry which all went well with the green chutney. 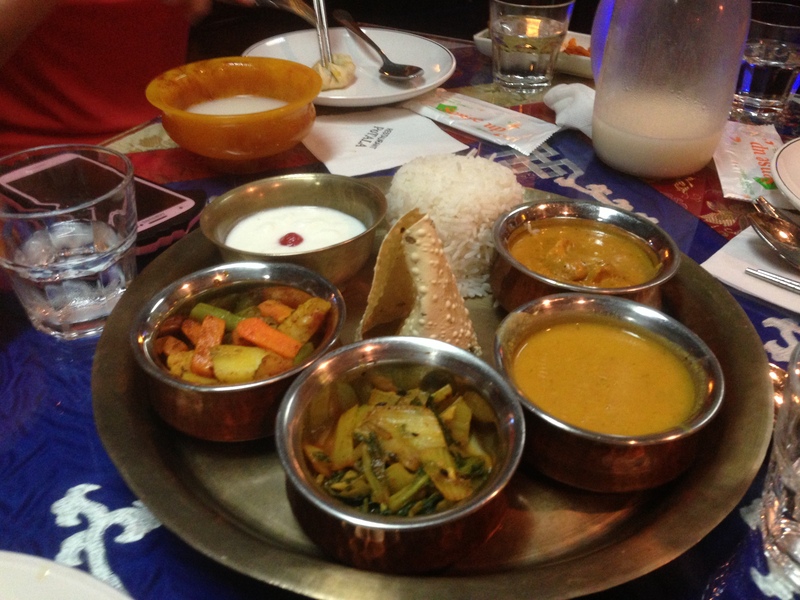 Then the Thali set (20,000 W) came out which was a sampler of various mostly Indian and some Nepali specialties. I personally didn’t think it was anything special in terms of the foods offered like the curried vegetables, kerala, or butter chicken, but I did enjoy the crispy papadum cracker infused with black pepper in the middle. It also came with a side of tandoori chicken which was uninspiring to say the least. It was quite bland, and the meat was a bit too dry for my liking. 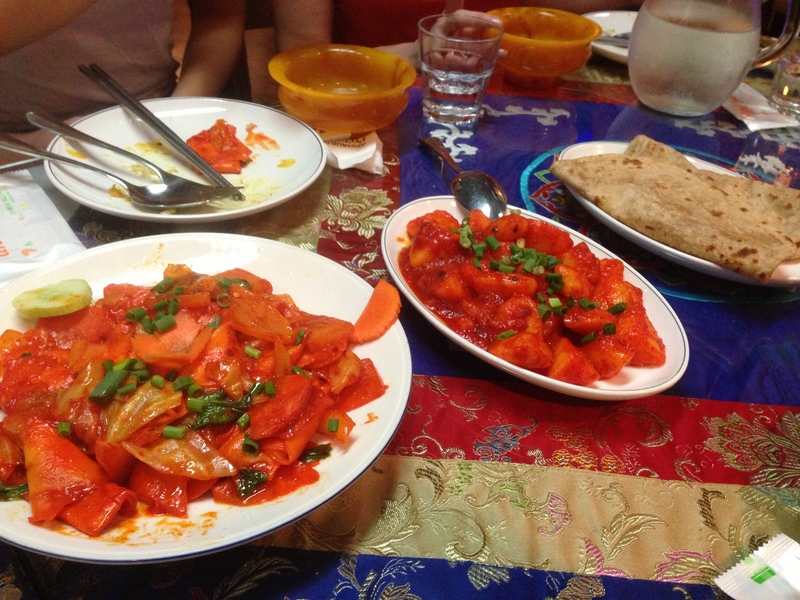 While we were in the middle of that five ring circus, two more Tibetan dishes came out. First, there was the than thuk fry with veggies (10,000 W). It was a noodle dish that was just ok. The red sauce had a minor spicy zing to each bite, and the vegetables were cooked nicely. Overall, it was a bit too bland for me. However, I was really excited to see the second Tibetan plate come to the table which was loaded with shoko bhakle (8,000 W). I was excited because it was promoted as being really spicy on the menu, but I think we might have been the victims of false advertising. Now, I can eat some really spicy food, and I found these potatoes in red sauce to be quite tame since I was preparing for a vindaloo level of spice. Others at the table who don’t normally eat spicy food also thought that it wasn’t anything dangerous to eat. Perhaps the cooks toned it down since Koreans believe that all foreigners can’t handle a little spice. Either that, or I’ve found that Koreans think they can eat really spicy food, but they’ve never tried anything past maybe a jalapeno level of heat. However, the tubers did have an interesting flavor profile that reminded me strangely of patatas bravas, and they did go very well with the well made parathas. The last thing we had for dinner was a bowl of palak paneer (Indian cheese with spinach; 12,000 W). 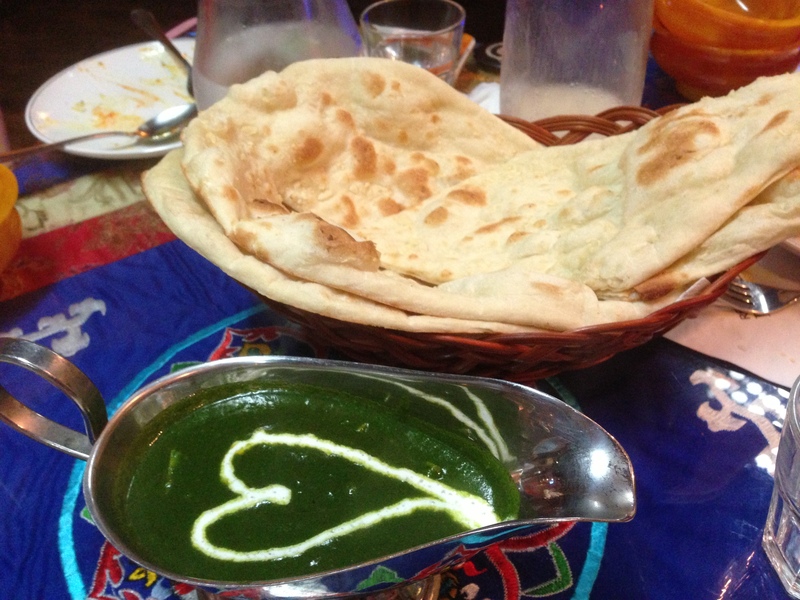 Awww, I heart you too, paneer. 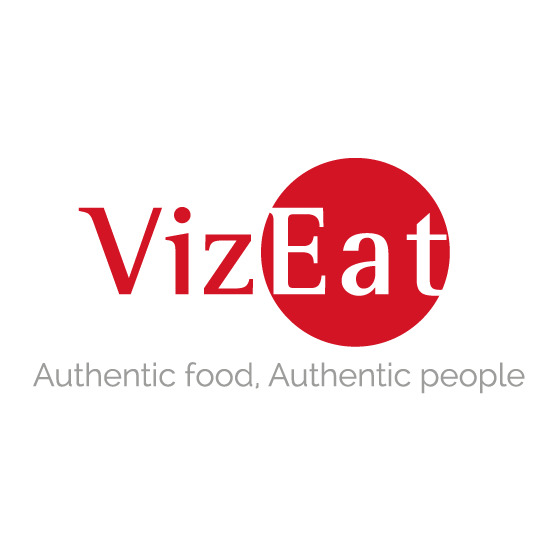 It was made even greater with the introduction of some great, piping hot pieces of regular and garlic naan that were anything but simple. The garlic in the garlic naan was understated which really let the spinach and cheese shine. Once we demolished all of that food, we were quite satisfied, but there was still the issue of dessert. We ended up sharing some fried bananas (7,000 W) which were amazing. While the buttery dough brought you in, the fresh banana along with the bittersweet honey made your tastebuds feel right at home with a warm embrace that wasn’t too sweet thankfully. Then there were the drinks people had. Some ordered rice beer or chang (12,000 W) which looked like Korean makkeoli, but it had a very sour flavor profile that apparently grew less apparent the more you drank it (perhaps that was the alcohol working on my friends too haha). 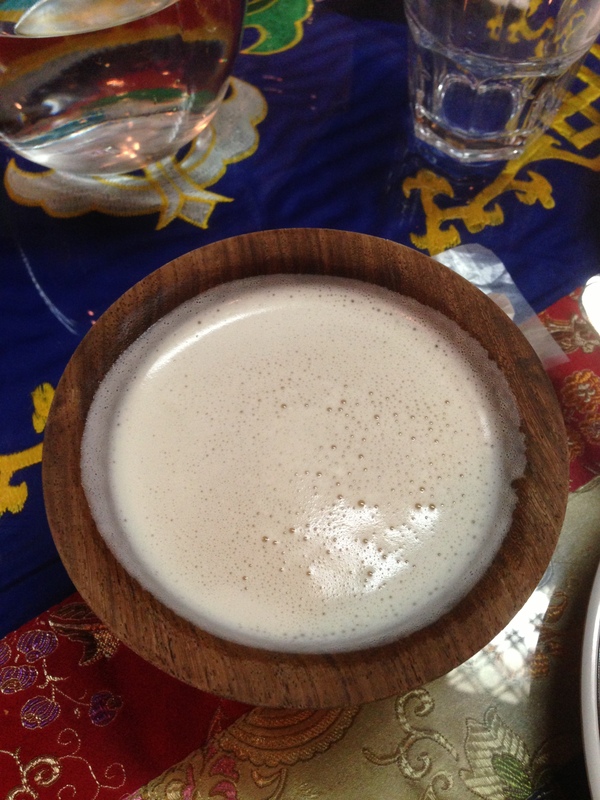 I, however, plumped (literally) for the butter tea (4,000 W). It’s a signature drink of Tibet since most of their food, clothes, and everything else comes from the almighty yak. The tea looked like a slightly foamy milk when it came out in its humble wooden bowl. I could only describe it as drinking a cup of tea mixed with Land O’Lakes but not really salty. It was a strange, smooth brew, and I’m sure it would hit the spot after a long day of expending calories while hiking through the Himalayas. I worked out in the morning, and I was drinking butter at night. I guess you could say I’m even. By the end of the meal, we were thoroughly stuffed with some great and interesting food and beverages. 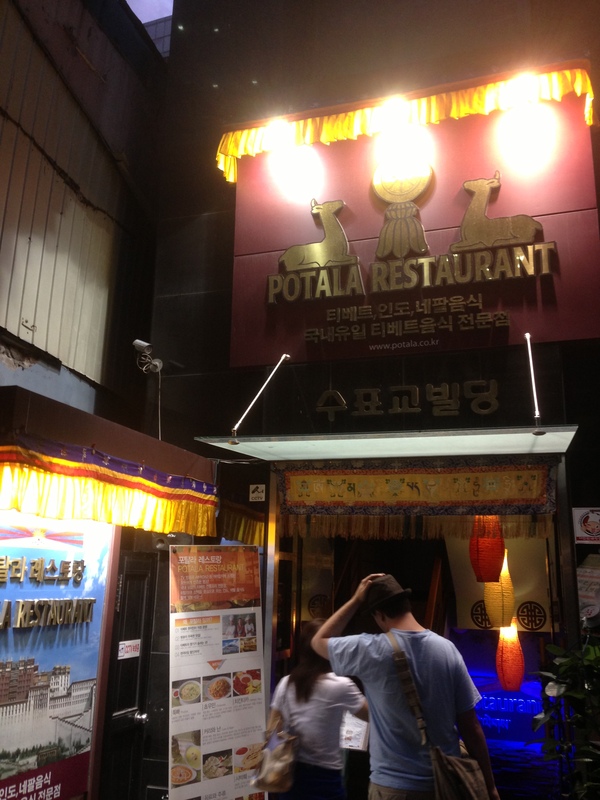 So if you looking for a good time with great food, check out Potala Restaurant in Seoul. It’s quite enlightening.